Here at DistortedNews, one of our main attractions are our reviews. If you don’t agree with our reviews, that’s fine. That’s what makes music so wonderful, everyone experiences it differently, and a DN review is how I (or a guest reviewer) experienced the album. If you want, feel free to post a comment saying how you felt about the album! The score of a DN review is based on, obviously, how good the album is. We take a lot into consideration though. One of the main things is the individual tracks, if an album has some rubbish tracks on it, the score isn’t going to be as high. Another thing is the flow of the album. Sometimes you get an album that works, each track seamlessly blends into the next and it just sounds amazing, however, sometimes this doesn’t happen, tracks seem tacked on and needless, this will cause the score to go down. The perfect album is something many bands try to create, but few ever succeed, honestly, how many albums out there would you say are perfect? Which is why if an album gets 10/10 this doesn’t mean its perfect, it just means it’s really really really good. As you may already know, I run DN by myself, but, occasionally I will invite friends to do a guest review. 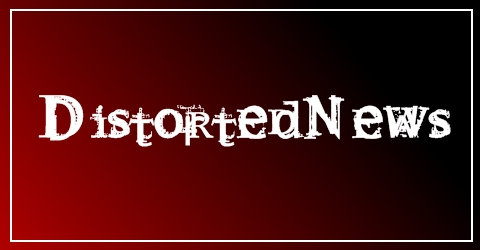 If you have an album you want to review, and it hasn’t already been done, feel free to send it to me at DistortedNews@live.com and, if its good enough (doesn’t really take much, proper English and a good structure) we will post it!